In addition to ongoing campaign activities in Japan, Iceland and Norway, Patrick’s whale programme team supports IFAW projects as diverse as humpback whale research in Zanzibar, a "Floating Classroom" educational project in Dominica, West Indies, and world-class whale research conducted by IFAW's state-of-the-art sailing vessel Song of the Whale. In cooperation with the IFAW’s Russia office Patrick’s team is working to prevent the construction of an oil platform in the critical feeding and nursery grounds of the endangered Western Gray whale population. Patrick’s whale team is also working to improve understanding and protection of whales within the Stellwagen Bank National Marine Sanctuary off Cape Cod, USA, an important feeding ground for many marine mammals including the critically endangered Right whale. 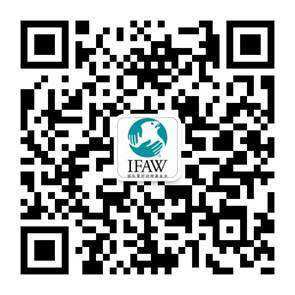 Patrick has worked on international environmental issues for more than two decades and has led IFAW delegations to more than a dozen International Whaling Commission meetings. He has also served as an accredited representative to the United Nations Conference on Environment and Development, the U.N. Conference on Population and Development, the World Trade Organization and the Arctic Council. Patrick is a frequently quoted conservation advocate, speaks regularly before media, government, corporate and university audiences, and has testified before the United States House Foreign Affairs and Natural Resources Committees. Senior Policy Analyst, MBD Inc., Washington D.C.